The Canada Green Building Council is a not-for-profit, national organization that has been working since 2002 to advance green building and sustainable community development practices in Canada. 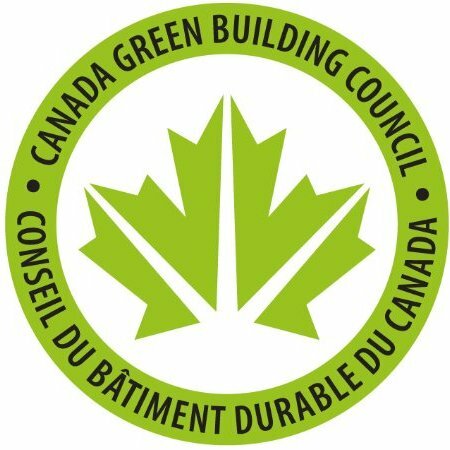 CaGBC is the licence holder for the LEED green building rating system in Canada and supports the WELL Building Standard and GRESB (Green Real Estate Sustainability Benchmark) in Canada. It is also the creator of Canada's first Zero Carbon Building Standard. CaGBC is the leading green building education provider in Canada, delivering education to more than 35,000 green building professionals since 2004. Our online and in-person programs and courses are developed and delivered by expert industry professionals that can help further your career, professional development and knowledge of Canada's vibrant green building industry. Learn more about the training offered by CaGBC here.